What is Website Hosting and Do I Need it? In the event that you don’t really know what website hosting is, don’t fret, you’re not alone. The vast majority of newbies think that the domain name is the website. This is about the most confusing piece to people if they’ve never managed a website. If you’ve read the what is a domain name post, you should have a better understanding of that part of the puzzle and it will help you put the next piece in place. 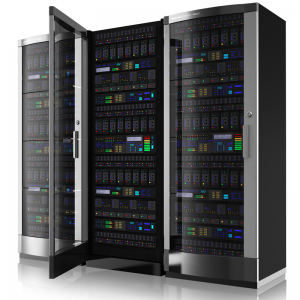 Unless you have your own personal web server setup and located beside you, you will require website hosting to store your website data files. It’s a crucial part of a niche website or any website. Without getting too detailed or technical, website hosting is basically the location where your domain name directs traffic to so that visitors can view your information/data on the Internet. It’s also the control center and includes the software or platform you are using to process the files/data, allows you setup email accounts, monitor bandwidth, disk space, traffic details and more. For example, we use WordPress to build all of our niche websites because it’s easy to install, easy to use and easy to maintain. So the hosting account would have WordPress files installed which in turn would be served to the user visiting the domain name that we have associated with our website. There are certainly cost-free platforms that you could use to create websites, such as Weebly, Tumblr, WordPress.com, however, you will find many restrictions and limitations with those types of solutions. You won’t have the ability to customize, add additional features or more than likely advertise and/or promote products on those websites. Quite simply, you just won’t have the control that is necessary to run your niche website. Using a self-hosted solution provides far more versatility with your website as well as what you’re able to do with it. You will be able to add, change, modify, include and customize whatever you desire. Deciding on a website hosting service can be tough because there are many options to choose from. Many have inexpensive rates but they frequently have horrible customer support and/or don’t have standard features. With so many website hosting companies offering the same exact features, options and pricing, in my opinion, it really comes down to how good customer support is. There’s no question with the large list of unlimited standard services they offer with their hosting packages that the value is there. Having unlimited bandwidth, transfer data storage, email accounts and more is a serious bonus for small to medium size websites. They have one-click installs for the most popular content management systems (CMS) like WordPress! HostGator has one of the best support departments, if not the best. They also provide monthly, bi-annual, annual and multi-year plans. I hope now you have a good idea of what a website hosting is all about and the way it’s utilized to host a niche website or any website. If you have a comment, question or suggestion please feel free to leave it below. Disclaimer: Some of the links above are affiliate links that pay commissions if the item(s) are purchased. We are recommending these as we are familiar with the products and feel that they can help in save time. This entry was posted in Advice, Beginners, Turnkey Websites and tagged Advice, Ready Made Niche Website, turnkey websites, website, wordpress. Bookmark the permalink. ← What is a Domain Name (URL) and Why do I Need it?